The first hint of lotteries at SDCC has been dropped as Mondo and SDCC have teamed up for an amazing poster based on this year's guide. Attendees can log with their Comic Con ID and enter the lottery for a chance to purchase this print. Curious to see what else goes down the lottery rabbit hole and hope that the changes are for the better. I am in favor of this change, but have heard a lot of fans who would rather camp out in line. To each their own! Star Wars #49 - It turns out you can't really trust the Empire and they are filled with a bunch of bad dudes and ladies. Following the broadcast of the Mon Cala's fallen king asking his people to rebel, the Mon Cala hear the call for action. The Empire isn't too keen on the Mon Cala supporting the Rebellion with a navy and intervenes with extreme power. I love seeing the unintended consequences of something so noble. As a reader you want nothing other than the Mon Cala to realize the Empire is taking advantage of them, but to rebel without being prepared for what the Empire's next move is was very satisfying. Thanks to the heroic efforts of the Mon Cala, all is not lost, but the big reveal at the end of the book lets us know that we can't celebrate this minor victory quite yet. 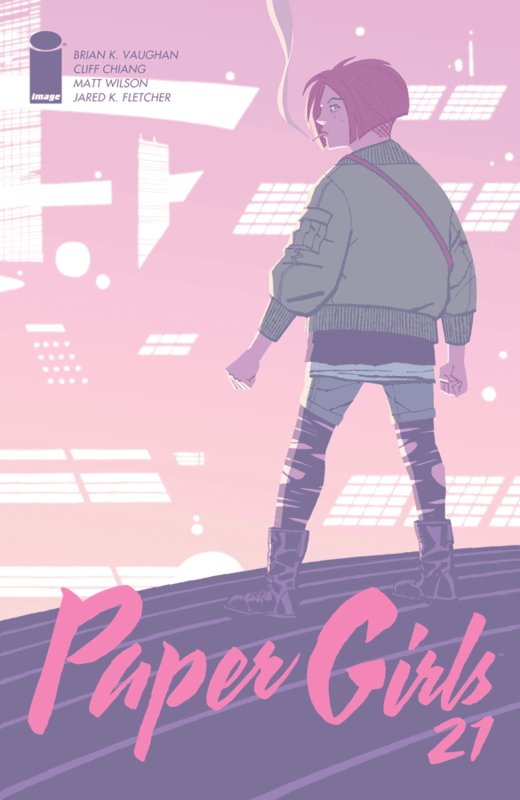 Paper Girls #21 - This series never ceases to surprise and entertain. The girls rejoin Mac and are still trying to figure out a way to return back to their own time. They know they are in Cleveland, but are not sure what year it is. Mac has the idea, after a hilarious flashback/dream, to inquire at the library downtown. After a brief run-in with the Cleveland PD, the girls reach the library and a digital Tree of Knowledge straight out of the Garden of Eden. Very curious to see what the girls learn in the next issue and where they are going. 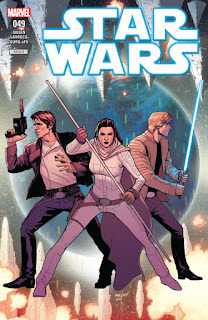 Star Wars Adventures #11 - This week features another stellar entry into this all-ages Star Wars book that is well worth your attention. 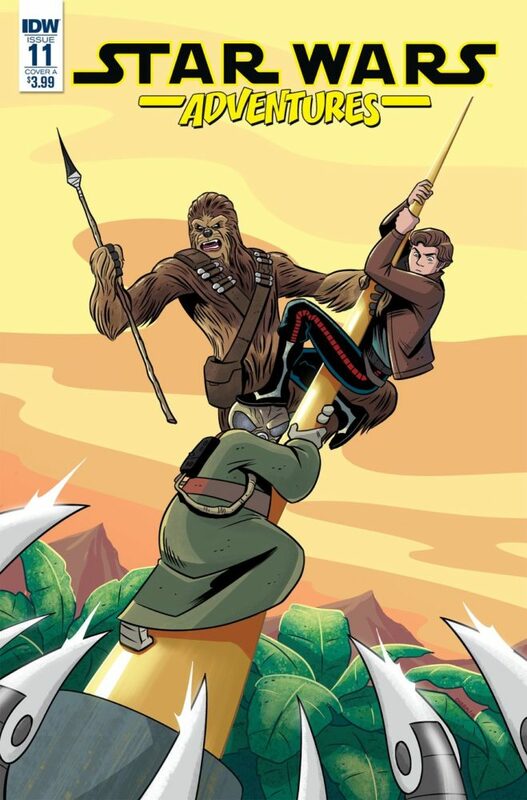 The main story is a cute one-off featuring a young Han Solo and Chewbacca and we reach the conclusion to the Tales from Wild Space entry featuring Lando. While this issue wasn't as strong as some of the previous issues, it remains at the top of my all-ages list and enjoy sharing this one with the kids.